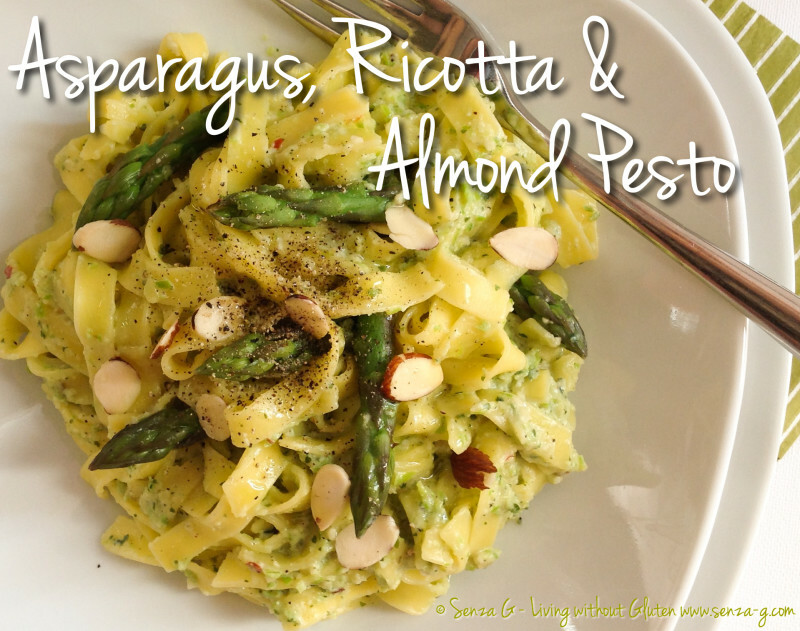 Put some Spring into your pasta dishes with the lightest, most delicately flavored vegetables of the year! A time when we start craving lighter, fresher and easier dishes. Here is a simple yet delicious one! Prepare the asparagus by rinsing and cutting off the woody ends. Cut off the tips and reserve a few. Chop the rest of the stems. Boil the chopped stems in salted water for about 4 minutes. Drain and plunge into cold water, drain again and set aside. Do the same with the tips. Reserve the water used to boil the asparagus. Place the chopped asparagus, some of the tips, the spring onion, garlic, almonds, Parmesan and Ricotta, parsley, olive oil, chilli if using, salt and pepper in a food processor. Blend until smooth and creamy. Boil the gluten free pasta in the reserved water (adding more if required) until al dente. Drain, reserve some of the water and gently mix in the pesto, adding a little of the pasta water if necessary. Add the reserved asparagus tips. Serve garnished with the flaked almonds and a drizzle of olive oil.